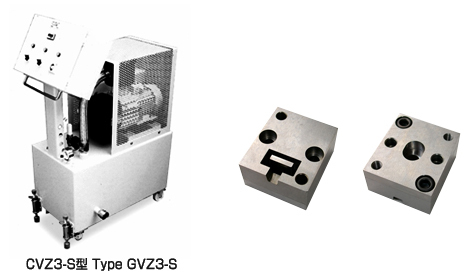 The two products above were developed to effectively vent gases from the mold using a vacuum, and are the result of constant improvements and practical achievements since our company’s establishment in 1984. We have had particularly outstanding results in improving transferability for backlights used in notebook computers, and thin-wall molding for battery cases in cellular phones, achieving a reduced incidence rate of 1 molding deficiency per every 300,000 molds for these fields. The abovementioned products currently enjoy widespread use in high-precision parts such as fine-pitch connectors, and in weld-line elimination for large LCD television frames. 1.More compact: 22% less space is necessary for foot print. 2.More quiet: Noiselevel of60 dB (A) is achieved. 3.Easier to use : Visual monitoring is easy, as oil sight level sight glass and feed and exhaust port of oil is arranged at operation table side. 4.Safer: Safety cover is equipped as standard. 5.lower cost : Price is fixed even grade is up.